The KERDI-LINE linear drain in this shower features the frameless tileable grate, allowing the drain to virtually disappear. 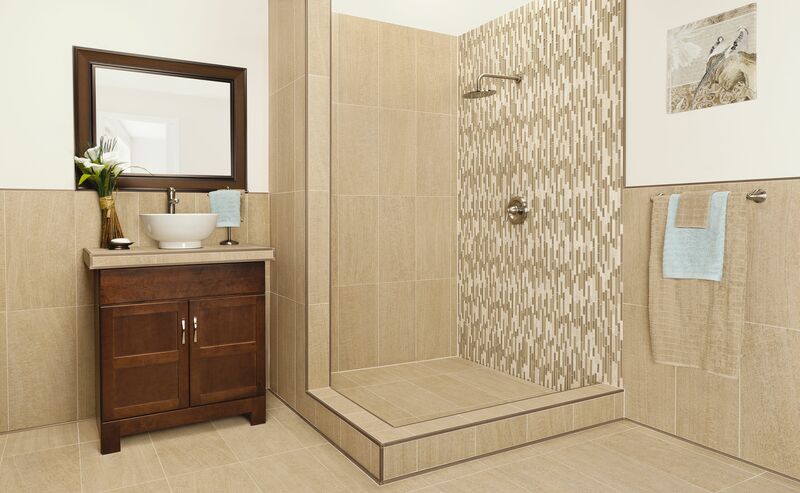 The prefabricated polystyrene KERDI-BOARD-SC shower curb is installed in this shower, with the QUADEC square-shaped profile and corners applied to tile edges of the shower curb. DILEX-AHK cove-shaped profile and corners used to create a smooth transition between the walls and floor. 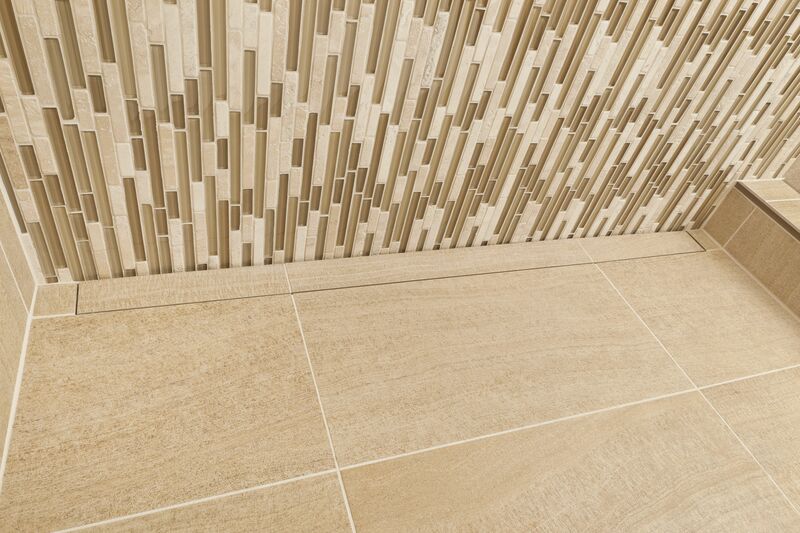 QUADEC square-shaped profile and corners applied to tile edges of the walls, shower curb, and countertop. DILEX-AHK cove-shaped profile and corners used to create a smooth transition between the walls and floor. 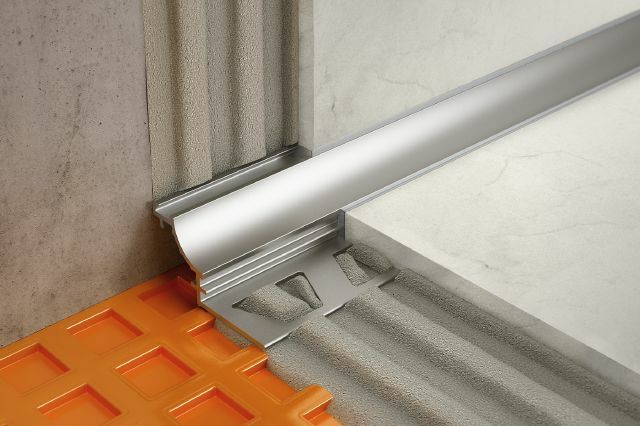 DILEX-EKE PVC corner movement joint profile inserted in the shower corners and along the shower floor. 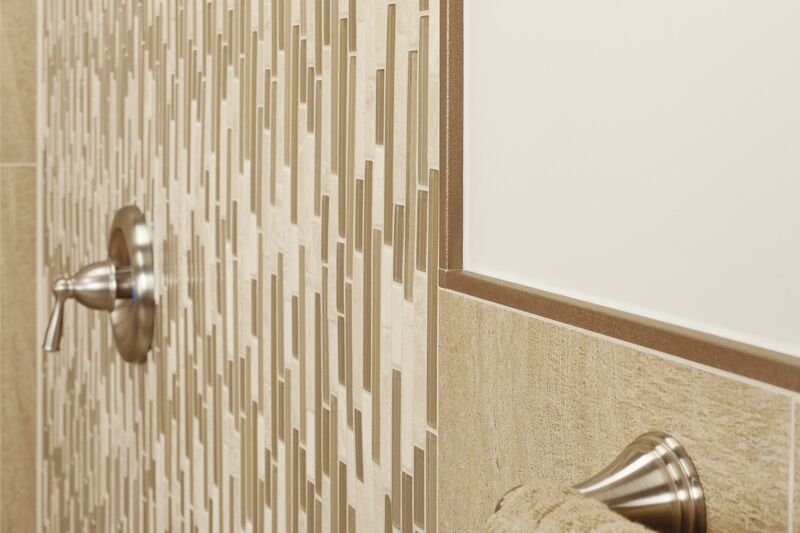 The KERDI-LINE linear drain in this shower features the frameless tileable grate, allowing the drain to virtually disappear. Building a shower and partition wall with KERDI-BOARD eliminates steps by providing stable, waterproof backing. 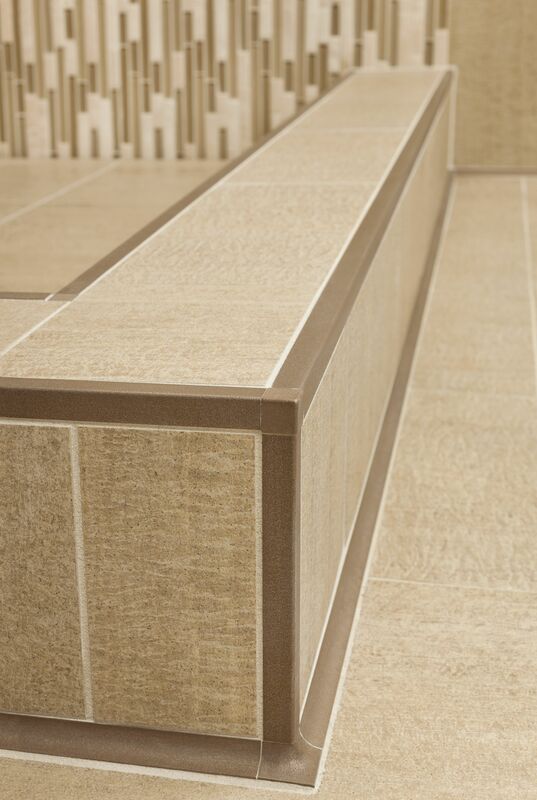 QUADEC square-shaped profile and corners applied to tile edges of the countertop. 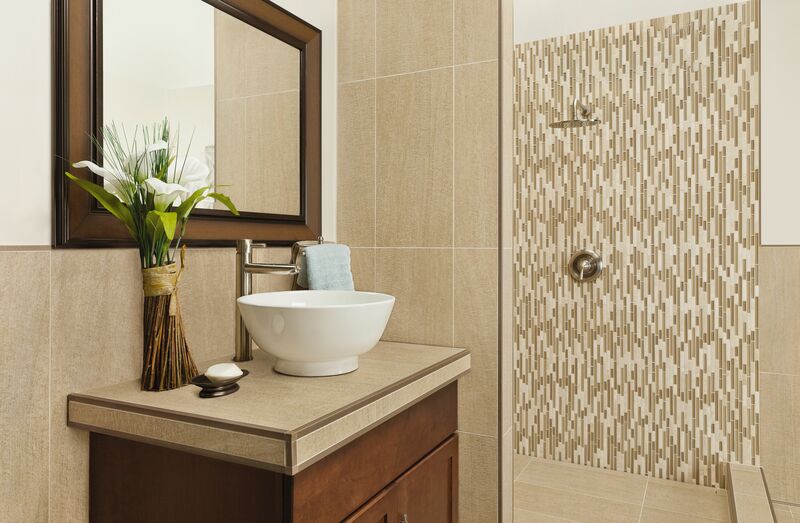 The countertop itself is built using KERDI-BOARD, and is finished with the same tile used throughout the rest of the bathroom, creating a custom, unified look. QUADEC square-shaped profile and corners applied to tile edges of the walls.